Master Craftsman Studio worked with the third through fifth grade students at Gilchrist Elementary School throughout the 2013 school year. The students worked hard to collect enough recycled aluminum to both create individual relief sculptures of their own design as well as to create a permanent installation on their campus. Last Spring, the students enjoyed watching master craftsman artists Phil Gleason and Charlie Scott-Smith pour aluminum into their sand molds. Each student created a shallow relief sculpture to take home. 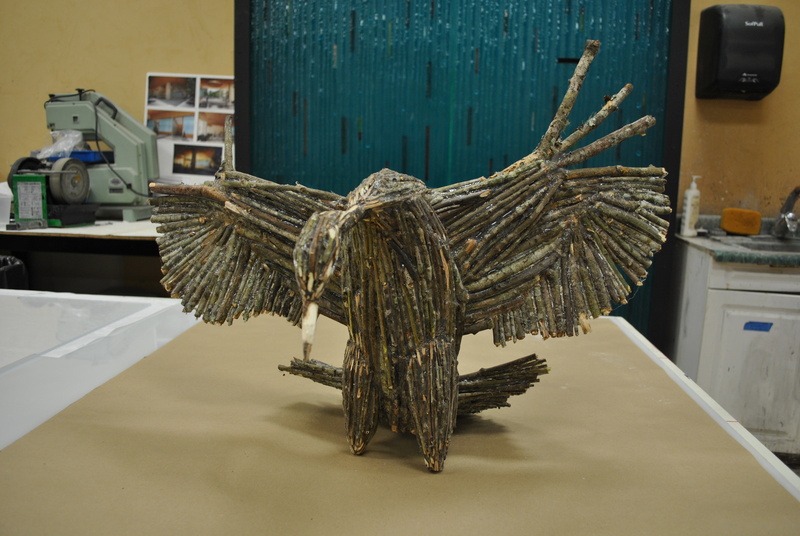 The sculpture is both the culmination of their recycling lesson as well as a reference to an environmental lesson on the migration of Whooping Cranes. The students had the opportunity to work with artist Daniel Dancer on his project, Art For The Sky. In this public art event, large scale paintings are created using people wearing t-shirts in specific solid colors. The students chose to focus on the Whooping Crane migration project which takes place in St. Marks. Through these two projects, students learned a great deal about team building, relationship building and collaboration as well as recycling and preservation. It was a pleasure to see their pride and excitement. 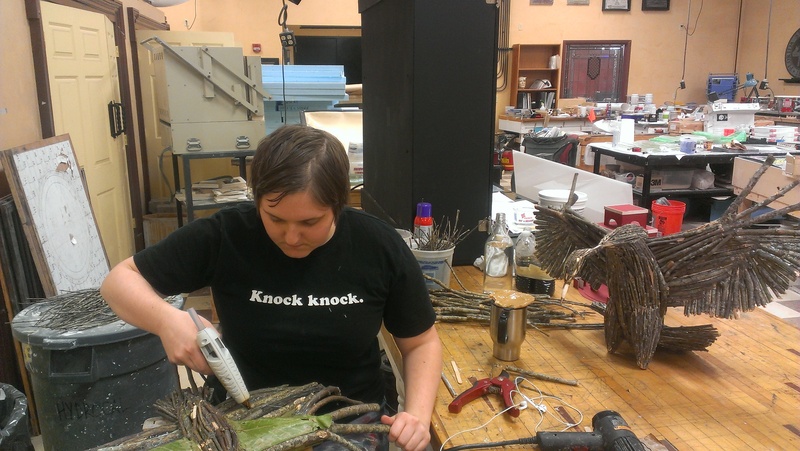 Master Craftsman artist, Lyrica Peterson has been creating the sculptures of Whooping Cranes using branches. When they are complete, they will be used to create molds which will then be poured using the salvaged aluminum. We are looking forward to installing this sculpture for permanent display on the Gilchrist campus.